No matter what you choose to host your documents, there are certain pieces you need to have in this documentation process. 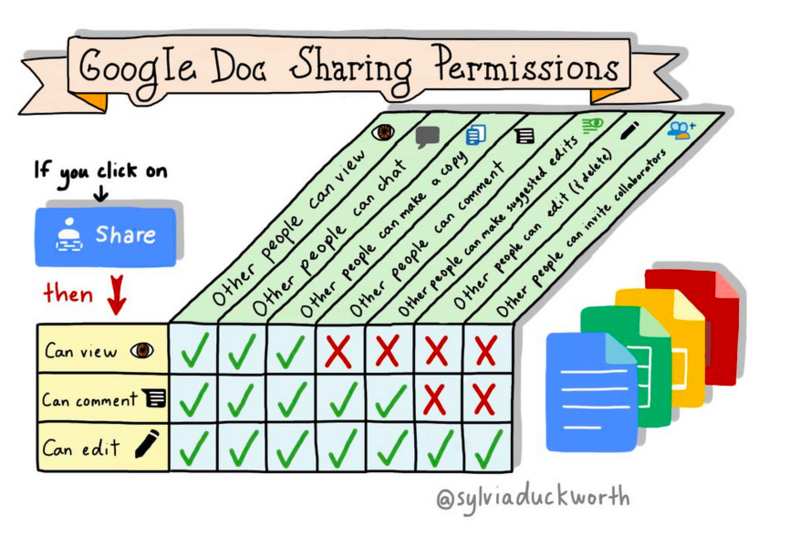 Check out this "Google Doc Sharing Permissions" graphic (used with permission from Sylvia Duckworth, explained on this post from Alice Keeler) to see how interactive you would like your work to be. At the bare minimum, click "share" and make sure "anyone with the link can VIEW" your documents. For each quarter, you will need three different polished pieces (written, submitted for feedback, revised and resubmitted) for writing and grammar. For reading, see this document - pages 3 & 4 for ideas in which to show your reading progress. We can share ideas as to HOW to prove our own learning on this document here. On WRITTEN work, you may receive feedback on writing (claim, evidence, reasoning, etc.) and/or grammar, depending on the work itself. 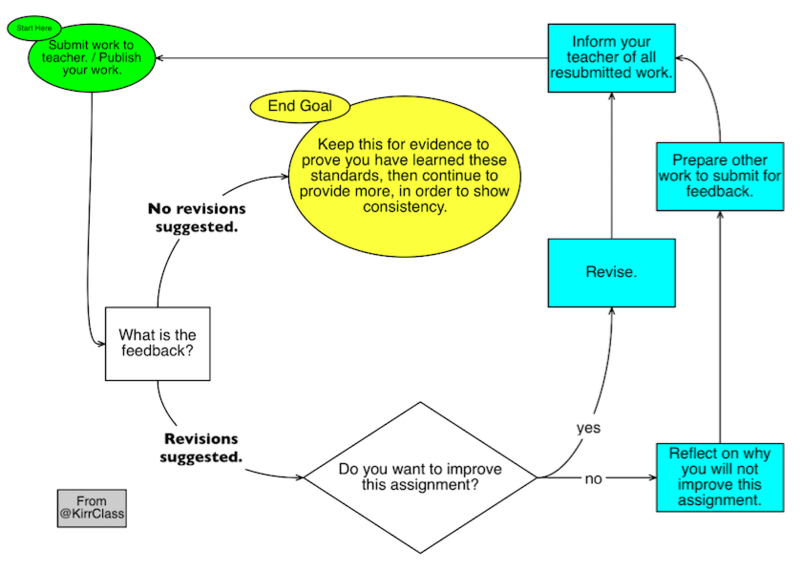 Use this feedback loop to help determine your three pieces of evidence for these two subject areas.